Central Alberta is our base for adventure. 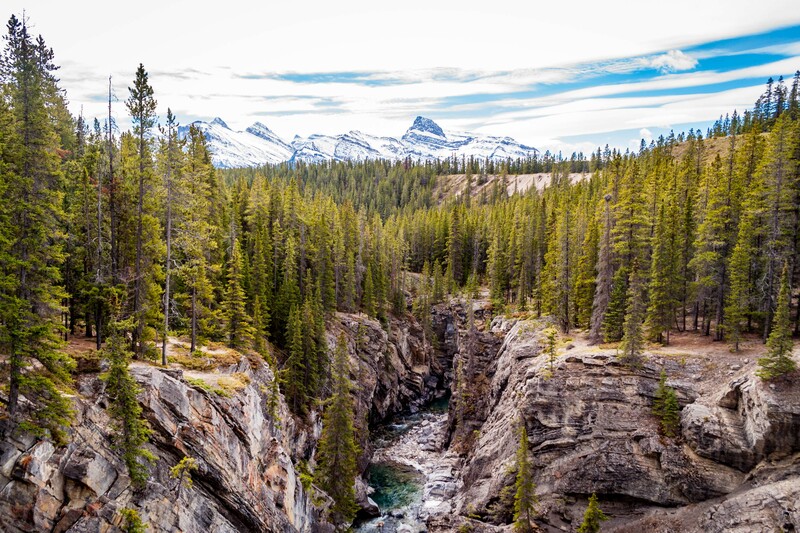 With a diverse landscape, central location near Edmonton and Calgary, proximity to the mountain National Parks and lots of breathing room it’s the perfect place to unplug and experience Alberta. Our focus is the outdoor lifestyle, from soft adventures to gear, food and culture. We’re fortunate to be located in a region with stunning landscapes ranging from the badlands to the mountains, an abundance of trails without the crowds of the nearby mountain parks and delicious local food. Guided Hikes are available daily, ranging from half day tours to full day adventures. All guided hikes are in the Nordegg and Abraham Lake area along highway 11. Tours include lunch (full day) and snacks featuring local good, hiking poles and guide. Transportation from Red Deer, Rocky Mountain House and Nordegg is available. The Market Tour is a great introduction to local food with local producers sharing their stories and samples throughout. The Market Tour is available every Saturdays from May long weekend to Thanksgiving. These tours are available for FIT and group bookings up to 24 guests. Customizations are available. See the rate sheets for more details. New for Winter 2018/19 are the half day Ice Bubbles, Ice Falls + Canyons and Crescent Falls tours. These tours are 2.5 to 3 hours in length, starting at Abraham Lake and include ice cleats, professional guide and snacks. Full day options include the popular Icefalls + Ice Bubbles, Siffleur Falls Winter Hike, Crescent Falls + Ice Bubbles and Coral Creek Canyon Snowshoe Tour. The tours are 6 hours when starting at Abraham Lake, 10+ hours from Red Deer and 8+ hours from Lake Louise. Transportation options from Red Deer, Rocky Mountain House, Nordegg and Lake Louise are available upon request for all Abraham Lake area tours. The Explorer Series tours are offered throughout the year on Saturdays and select dates. The tour options vary, showcasing some of our favourite itineraries and unique adventures. This is a great option if you have guests looking at a specific date rather than tour. Individual guests and small groups are welcome to join these departures. Typically we require a minimum of 4 guests for the tour to be offered, with the exception of wholesale bookings made at least 14 days in advance where we will confirm the departure with a minimum of 2 guests. Net rates on Explorer Series tours is 10% off the posted rate. Get the latest flatsheets, rates and contract details. We offer wholesale net rates to partners who share our excitement for adventure and who put the guest first in their commitment to creating memorable experiences. If you are interested in adding our activities to your packages, reselling our adventures to your guests or carrying our outdoor inspired food, please contact Danielle Fortin at danielle@pursuitadventures.ca or 403 986-6190. Wholesale rates are available for the majority of our products, tours and packages. Activities offered by third parties (e.g. rafting and heli tours) are not eligible for net rates on their own. Planning an adventure doesn’t need to be complicated. We take care of all the details to make it easy for your guests and we keep our requirements simple to make your life easier. For example, we require low numbers to confirm our departures (2 to 4 guests for most tours) and offer a very flexible cancellation policy. All our tours can be booked online for your guests. Simply choose a tour, login, enter their information and submit the booking. We’re just an email or phone call away if you need help along the way. Want to come try for yourself? Let us know and we’ll be glad to offer you our great industry pricing.